What do principals say it takes to be a good principal? All principals want to be effective and to have successful, high-achieving schools. Many principals, however, struggle with how to make that happen. This book offers both broad strategies and nuts-and-bolts techniques to help principals reach their goals. 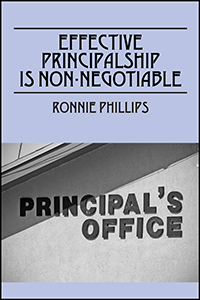 The book demonstrates how important a principal’s leadership skills are to the overall success of a school, and it discusses how a collaborative leadership style can positively impact a school. 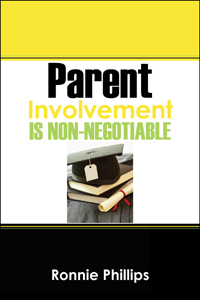 The book shows how the principal can have an effective school by starting positive routines and practices that include the staff, students, and parents. The leadership style advocated in this book empowers the staff to make significant decisions. Furthermore, this book provides step-by-step guidance for how principals can successfully change the climate of the school, as well as the overall operation of the school. This can lead to an effective school. This book is a valuable resource for educators who desire to become principals and need to know how to start successfully operating a school from day one. It also can benefit educators who are already principals and would like to learn other strategies on how to successfully operate a school. 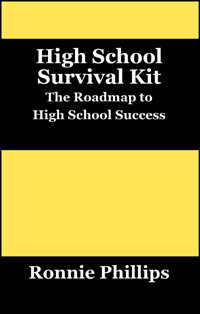 What is unique about this book is that all the strategies come from experienced, successful principals who have worked in some of the most challenging schools in America. 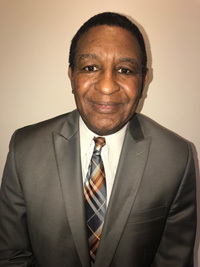 Ronnie Phillips is a former principal, superintendent, adjunct professor, and the author of three books.